It was our second evening in our new home and Daniel wanted to experiment with the alarm system. He didn’t know how, we didn’t have an owner’s manual and by turning it on, he might accidentally set it off. I prepared myself for a loud noise, he hit the start button but nothing happened. “It’s on,” he said. “So far, so good.” Then he walked away from the control panel. I need not have asked. He didn’t know how to deactivate them so of course they were on. When he walked into the living room, the alarms sounded all around the house. And outside. They were loud and frightening and confusing. “Now, what!” I shouted over the din. Daniel was headed for the garage and the electrical breaker box. By the time he had flipped every switch, to no avail, I had found the 1-800 number and had Brinks on the phone. With that kind man’s help and understanding, we managed to find the back-up battery and the separate switch box and the code to turn the alarm off. After ten minutes of having our nerves jangled and our ears blasted, oh what peace! 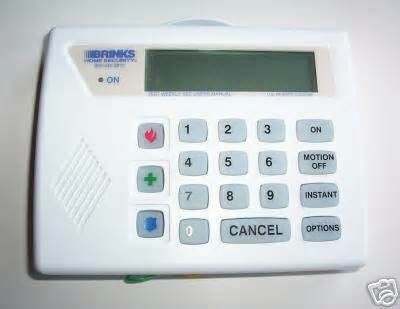 I am shaking my head still, amazed that people our age could be so silly as to turn on a whole-house alarm before we knew the code to turn it off. What were we thinking? We are like the man in Scripture who began to build a tower without first counting the cost (Luke 14:28-30, Christian Bible). This same principle comes into play in many areas of life. Don’t get a student loan without calculating how much interest you’ll have to pay and how many years it will take. Don’t marry a man with a family history of alcoholism unless you take into account how to help the children of your union avoid the path. Don’t build a carport on your neighbor’s fence line before you get a survey of the property. Generally speaking, big decisions warrant long thought, much prayer and good counsel from many sources. To do otherwise, to make hasty, uninformed decisions, can cause unpleasant consequences, sometimes lasting a lifetime. Our escapade turned out well. If the neighbors had reacted by calling the police…If Brinks had refused to help…If the code had been changed… Next time, before we push the button, we’re going to know the code! This entry was posted in Short Takes on Life and tagged burglar alarm, consequences, counting the cost, foolish decisions, preparedness, think ahead. Bookmark the permalink. Love the analogy! excellent advice, acquire the code, take one, action. you guys are deep into new experiences. Fun huh?